How do we build the capacity to maintain and grow our personalized competency-based system? 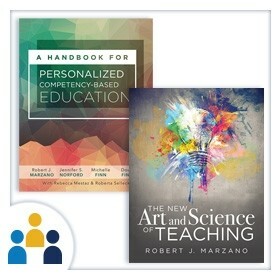 Marzano Research offers on-site and web-based coaching services to support the implementation of personalized competency-based education at the district, school, and classroom levels. Coaching services are available for district and school leaders, instructional coaches, and teachers. 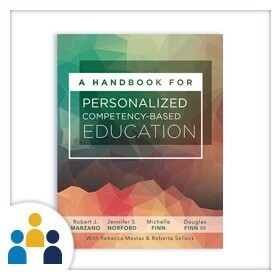 What is personalized learning and competency-based education and how can I get started in my classroom or school? Learn about the key differences between time-based and performance-based systems of learning, and explore the benefits of a student-centered approach to teaching and learning that allows students to move through levels of content at their appropriate pace. Gain practical guidance for scheduling and reporting in a personalized competency-based system. Both scheduling and reporting in a personalized competency-based system can look very different from current practices. This workshop will help you work within your current system by making tweaks to the schedule or completely rethinking the traditional schedule. Thinking about transitioning to a personalized competency-based system and wondering where to begin? Our coaches can help you examine issues related to policy, curriculum, instruction, assessment, scheduling, and more that can impact your transition from a traditional, time-based system to a competency-based model that emphasizes student-centered, personalized learning.